As you create and practice your EAP, Gowrie Group recommends you also review these six tips to empower your team to respond to an emergency as quickly, safely, and effectively as possible. Review your EAP with all staff at least once a year. Run a practice “drill” each season, and invite your local emergency authorities to participate. Team with local emergency authorities (Coast Guard, fire department, police, harbor master, etc.) when developing and practicing your EAP. Together, determine the optimal rendezvous locations for emergency transfers, document how to contact each authority, and understand how jurisdictions change from water to land. A summary version of your EAP should be posted prominently in multiple locations at your facility: near phones/VHF, dock office, front office, etc. Laminated versions of your summary EAP should be given to all on-the-water staff and attached to each coach boat, launch, club vessel, and/or RC boat. It may also be appropriate to share a copy with your club members and/or to post to your website. Know what VHF station your club/program uses, and what station the local emergency teams use. Ensure employees do a radio check before taking a VHF radio into service/action, every time. Determine a strategy for having two VHFs and two people with the injured person/incident at all times. When speaking, clearly state your name and which boat you are in (every radio transmission). Use HIGH power setting on the VHF for maximum volume and reach in an emergency. Ensure shore team receiving injured person has a working VHF tuned to the right channel (borrow from another uninvolved staff member if needed). Use cell phones when and where appropriate and effective. When practicing/reviewing your plan, make sure the team knows the numbers/names of the closest government buoys, landmarks, and channel markers. When reporting your location, use North/South/West/East to indicate direction (not Left/Right). When possible, report your location using Latitude/Longitude, in addition to visual landmarks and nautical markers. Know how to drop a waypoint at the scene of the accident – this can be critical in the case of missing lives or assets. Train your team to stay calm, focused, and alert; and to act as quickly as they safely can. Do not put yourself or others in harm’s way when responding or attending to an incident. Respond and assist the injured person(s) to the best of your abilities – without risking additional injury to yourself or others. 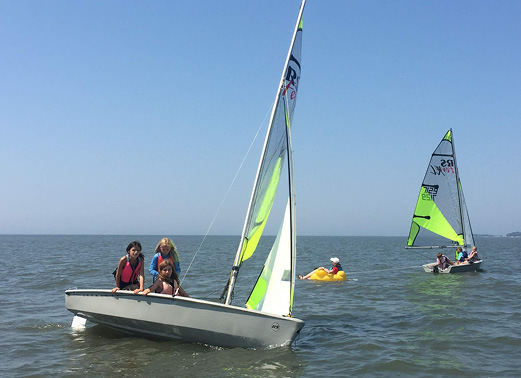 If Junior Sailing related, remember to ensure the safe return to shore of the other children in the class. When possible, secure the other boats involved and around the incident. When possible, reduce or eliminate non-emergency (discretionary) recreational boating in the area. 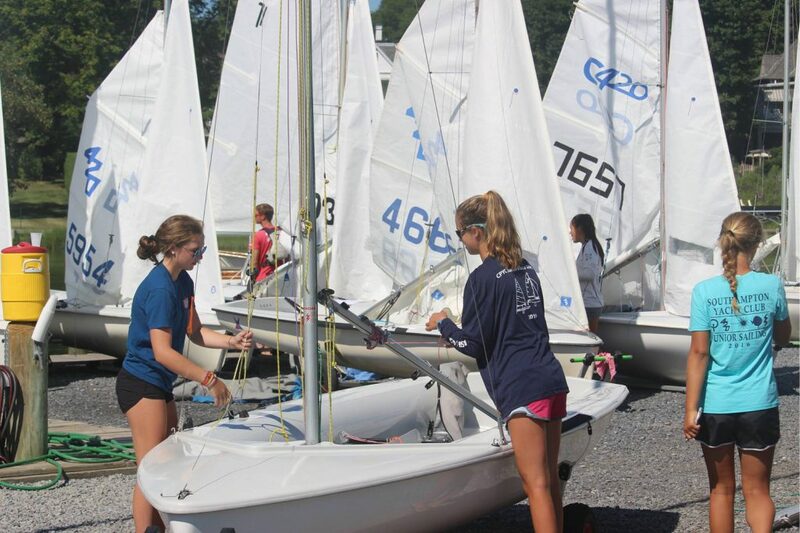 Ensure all onsite staff knows an emergency situation is occurring (dock, launch, instructors, galley, office). Have Office personnel or periphery person notify Flag Officers or General Manager as soon as possible. Act as quickly, responsible, humanely and openly as you can. Form a small management committee but speak with one voice. Immediately contact all people with a connection by telephone. Send no emails unless absolute security is guaranteed. Inform your insurance agent and listen to what they say. Listen to your lawyer, but do not sound like one. Respect the public’s need to know, while also respecting victims’ privacy. Be accurate; say nothing unless you know it to be true. Whitney Peterson is the Senior Vice President of Marketing at Gowrie Group, one of the nation’s Top-50 independent insurance agencies and the largest independent marine insurance group in the U.S. She lives in Guilford, CT with her husband and two daughters.